Some people are destined to be inflicted with much greater suffering in less than half of the lifetime that a person ordinarily experiences ,while some others , when faced with this very barrage of trauma, show the kind of fearless courage that becomes the stuff of legend, and which inspires tears in the eyes of those who hear their story. Neerja Bhanot was and remains one such bright star. In 1986 , Pam Am Flight 73 was hijacked by terrorists in Karachi, Pakistan. Bhanot , instead of saving her own life first, helped the Boeing's masses of passengers to escape, at incalculable cost to her own self. 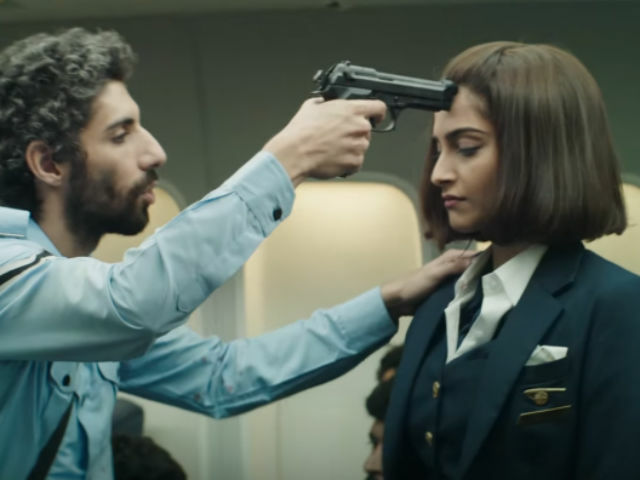 Ram Madhvani's 2016 thriller 'Neerja' does full justice to this act of towering altruism. 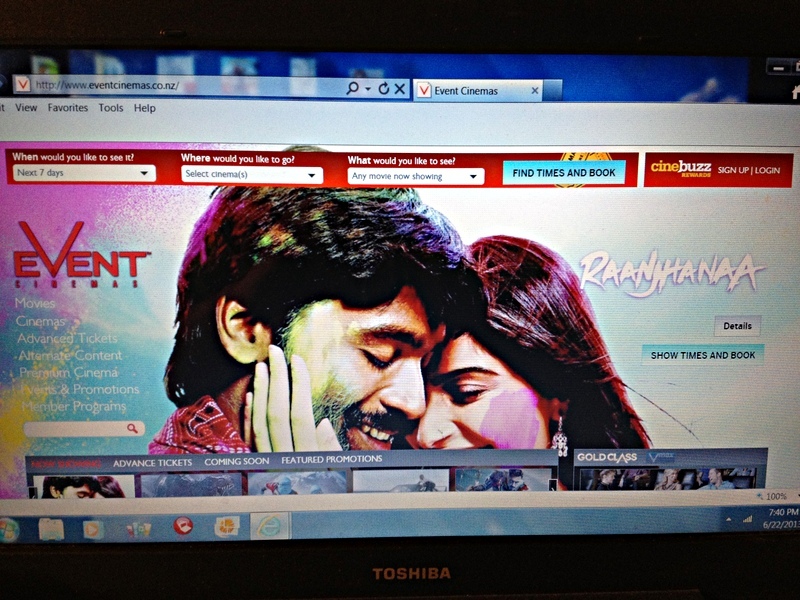 Not only does it remind the current generation about the deepest reaches of human character, but also it fires its salvo of homage with tautly cinematic finesse that signals a marked evolution for this genre in Indian films. Sonam Kapoor essays Neerja Bhanot with simple charm edged with relentless focus that is the hallmark of outstandingly natural performances. Opening frames show Neerja enjoying a party in her Mumbai neighborhood. Well-liked by so many and commingling easily with partying children, she could well be a college girl who's breezing through life. But the surface hides uneasy depths. She's past marriage with a sadistically abusive, first-class bully who's an apology for a husband. And soon , though she is now nurtured back in the folds of loving Mum and Dad, she will head unknowingly to take humane charge of a terrorized plane that makes headlines the world over. Bolstered by a script of excellent nuance by Saiwyn Quadras, Madhvani steadily accelerates this story with suspense while never jettisoning maturity. The links between this film and his wonderful debut movie "Let's Talk" are footnotes only - hand-held camerawork , a bully of a husband - but their commonality lies in special scripts elevated by superior direction. After four Palestinian terrorists storm into the Pan Am flight during its stop-over in a Karachi airport, an act of swift thinking grounds the flight with no ability to take off. Half-aborted in their mission , the terrorists' rage and frustration spirals as hours pass with the Pakistani authorities stalling repeatedly for time. Flawlessly edited sequences distinguish the boiler-room atmosphere, terror and chaos that racks the flight cabin. Monotony is cut by smartly splicing earlier scenes from Neerja's life. A terrorist bangs on a door of the flight toilet where Neerja seeks temporary sanctuary , and the scene finds its thematic and sonic mirror in an intercut scene where her abusive ex-husband pounds on a door. Her father's advice to her that she should always be brave and never do or suffer a wrong, silently echoes in her mind until it must have acquired the force of a prophecy from God herself/himself. What exquisite mix of emotion must have also graced the organized storm in her mind , when she receives renewed reminders that a caring gentle man awaits to seek her heart and show her a new future if ever she gets out of this plane. Madhvani and Quadras reveal their maturity when we are shown that a gallant Pakistani security chief neatly dismisses any suggestion of addressing the plight of only Pakistani citizens in the plane. US citizenship is not always a prize plum , and a targetted youngster who declares he's American not Indian, is made to cross further boundaries with black humour. A keen gaze at how our minds often function, is seen in a scene where Neerja's shocked mother receives news of the hijacking. She keeps the phone down and walks back to her food preparation , as if in stunned auto-pilot mode. The terrorists' personalities are commendably fleshed out in honest shades which sometimes show an unexpected orphan straw of emotion. If we try to logically follow that stray thread , we may look at that young terrorist and think "He seems a sensible sort, what sort of brainwashing and life experiences would have brought him to this extreme low?' The leader of the gang is a brutal fool of course but he also has the sense to angrily slam down a second-in-charge for infighting that can compromize their mission. The most memorable of them is a thin psycho (a terrific Jim Sarbh) who looks somewhat like the awesome comedian Sacha Baron Cohen. With a small lean horse-like face, and eyes which darkly shine and yet are glazed over with cold evil, he is a unpredictable relentless bully who many of us would like to see, get his just desserts. Mitesh Mirchandani's camera lucidly captures the action inside the cabin but the shaky hand-held-cam shtick in scenes inside the Mumbai house sometimes jar (in making this choice , I don't think he was alone). Vishal Khurana's background score is also at its best in the cabin scenes when it eschews any bombast and subtly strengthens the narrative thread. Only the epilogue drags. It's emotional, yes, but half-drowns in melodrama after all the superbly taut narration witnessed before. Shabana Azmi, as Neerja's mother , is admittedly excellent but I wonder whether her head-strong tendency to interfere with the helmer's vision, bagged her a surfeit of screen-time at the denouement. 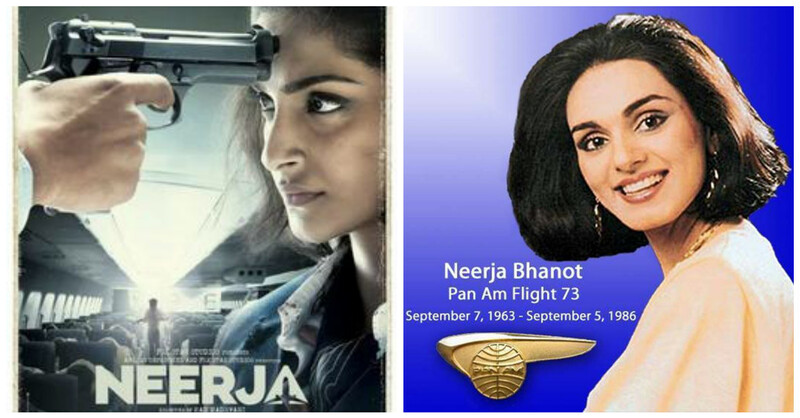 Unfortunately the no-compromise soul and spine Neerja showed in real life, did not rub off on the Indian government. It did award her its highest bravery honour 'Ashok Chakra' , but when Indian Airlines Flight 814 was hijacked, the cowardly and infinitely stupid Indian government in 1999 caved in and released terrorists from Indian jails, who then went on to commit more terrorist attacks. As for Pakistan while it did award Bhanot with Tamgha-e-Insaaniyat , the captured terrorists who were then jailed , eventually escaped from Pakistani prisons in 2008. Committees of important men deciding our fates aside, this film and Neerja Bhanot remind us what one individual can do if they really want to turn around the course of destiny.